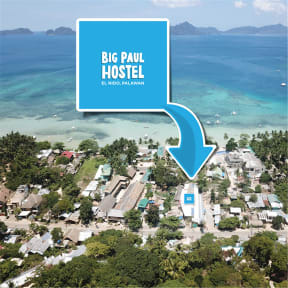 Big Paul Hostel i El Nido, Filippinerna : Boka nu! Nice party hostel, pretty big. 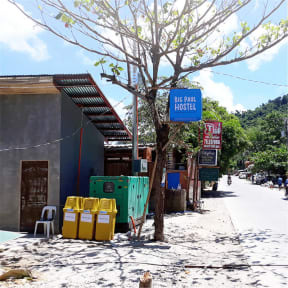 Nice showers, beds & toilets. Wi-fi basically not workning, 10 with trycykle in to town. Stay here if youre ready to party and meet new people! Free rum n coke is the only thing mentionable.. everything else is quite bad.. but still free rum n coke!